The Mogao Caves form a system of 492 temples built into dugout caves, strategically located at a religious and cultural crossroads on the Silk Road, in Gansu province. The caves are the best known of the Chinese Buddhist grottoes and are one of the famous ancient Buddhist sculptural sites of China, and are a UNESCO World Heritage Site. They are now a popular tourist destination, with a number open for visiting. The nearby oasis town of Dunhuang provides the primary base for visiting both the caves the larger desert region. Only a 2-minute walk from the ticket centre of Mogao Caves, Dunhuang Han Tang Hotel features accommodation decorated in Han and Tang dynasties' design. It offers free WiFi, table tennis table, car rental service and an on-site restaurant. Average score from 11 guest reviews: 7.1/10. 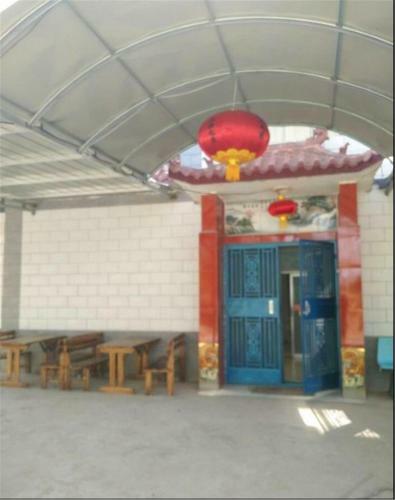 The location is fantastic - close to transportation, the famous night market, and ticket center for Mogao cave. The staff was very friendly and helpful. 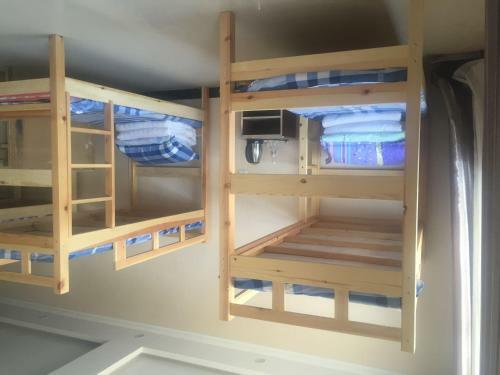 Good value, nice rooms and good location. Big drawback - nobody speaks any English at all which is quite surprising for this hotel and the location above all..... We have been to cheaper places with English speaking reception staff....They are friendly, but a smile is useless. Fortunately we all have phones to translate nowadays. Don't forget to see the paintings at the river side. All staff were very friendly and did their best to assist with limited English. Linda on reception speaks English and is extremely helpful. Location is great and the hotel room is quiet, comfortable and easy to relax in. I would gladly stay in this hotel again. L'l'hôtel est bien placé, dans le centre et à 20min de l'aéroport en taxi. Le personnel s'est montré très serviable. Only a 12-minute drive from Mingsha Hills, Grand Tian Yu Hotel offers accommodation with free WiFi. It features meeting facilities and a 24-hour front desk. Average score from 13 guest reviews: 0.0/10. 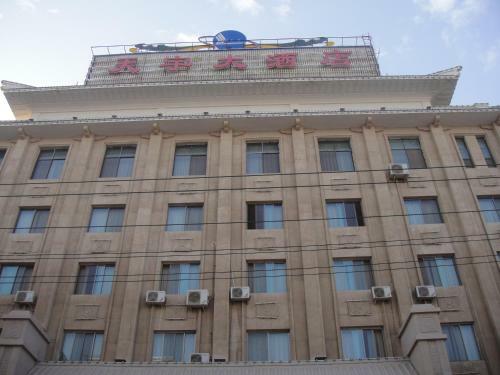 Just is 5 km from Mingsha Hill, Dunhuang International Hotel features guest rooms with mountain views and satellite TVs. It offers free shuttle services, business facilities, tour arrangements and a garden. Average score from 14 guest reviews: 0.0/10. Dunhuang Sha Zhou Yi International Youth Hostel is located in Dunhuang, a 12-minute drive from Minsha Mountain. Free Wi-Fi access is available in all areas. Average score from 63 guest reviews: 7.6/10. Very Nice room ! Clean and comfy! The receptionist help us for find the bus ! 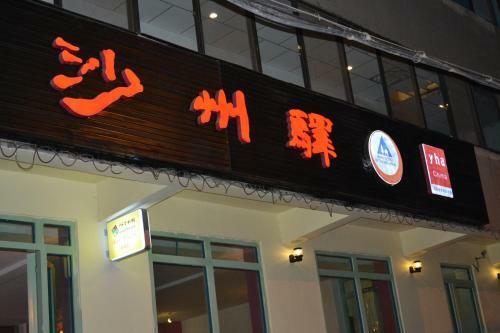 Friendly staff, clean, good value for money, near central dunhuang. Location was OK, 10 minutes walk to the night market. 10-15 min taxi to other tourist spots. Rooms were spacious with basic facilities and quite clean. If you want to stay in the city of Dunhuang, location is ok, as the city is small you can easily get to the main streets and find anything you need. From this place its convenient to go to Mogao Grottoes and to make a trip all over historical places. But if you want to see the desert and oasis, its better to find a stay closer to Crescent Spring (月牙泉/ Yueyaquan). Staff was helpful, beds comfortable, room clean. The girls at the reception are really nice and try hard to help even so they do not speak English. I arrived very early and they gave me a bed right away without additional charge. Staff are awesome, especially the girl at reception, very friendly and enthusiastic in sharing travel and local delicacy info. Strong wifi. On a quiet street that is 10 to 20 minutes by foot to any place in town. 7Days Inn Dunhuang Night Fair is located in Dunhuang. Free WiFi access is available. Each room here will provide you with a TV, air conditioning and cable channels. There is also an electric kettle. Average score from 46 guest reviews: 8.0/10. Excellent location near the night market in Dunhuang. The hotel was a great value with a clean room and bathroom/shower for a great price. Convenient to have fairly priced water (2 rmb as listed on the bottle) and other essentials in the lobby. We were delighted with this place. The shower was especially good, with a glass separation around the shower inside the bathroom (most other places in China lack this barrier and the whole bathroom gets wet after showering). Strong pressure with hot water. The room is well equipped. The staff doesn't speak a lot of English but tries and they are very helpful. The location is great! For this price, the place was fantastic. Also, we stayed at the Dunhuang International Hotel for one night because our flight was delayed and the room is very nice but they are working there and there is noise from 8 am till at least 8pm. Good location, in the centre of Dunhuang, near all the eating and shopping areas. Clean, good shower. It was alright. The people there were nice enough, but it was definitely not the best place for the price we paid. Great location and very friendly staff. Good WiFi. Located right behind the night market which is also a place to try out the local cuisine. Good location, near the night market and bazaar and the supermarkets too. There is also a travel agency at the lobby area which offers day tours. See all hotels in Mogao Caves. Featuring air conditioning, Dunhuang Hu Yang Inn offers accommodation in Dunhuang. Dunhuang Hu Yang Inn also includes a barbecue. Guests can enjoy a meal at the on-site restaurant. The property offers a free shuttle service. Average score from 5 guest reviews: 8.8/10. BOOK THIS HOTEL NOWSee all hotels in Mogao Caves. Featuring free WiFi in public areas and a sun terrace, Dunhuang Gelaoda Inn offers pet-friendly accommodation in Dunhuang. Free private parking is available on site. Dunhuang Gelaoda Inn is Crescent is a 3-minute walk from Crescent Lake. Average score from 25 guest reviews: 8.8/10. The staff is super friendly and helpfull we adore them. makes you feel at home. quiet and pretty arae very clost to mingsha mt. note that only one staff member speaks english and she is not there all the time. They offer some camping tours, we did not took tham since the nights were freesing when we visited in late october. in terms of location you need to decide if you want to sleep in the center or neer the dunes where there is less eats and shops. bus goes from 7:30 to maybe 20:00 and taxi from center is 15-20 rmb. This is a very perfect desert travel experience. The inn is very clean. The boss is the most famous desert guide in Dunhuang. He led us on a camel through the mysterious desert, camping in the desert. The boss's son is a handsome young man. Riding a motorcycle is very cool, and we are ready to eat roast mutton and chicken wings. 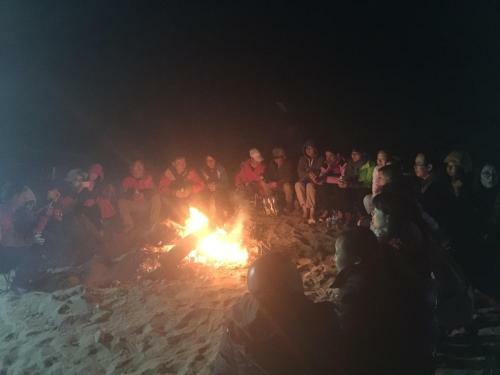 In the desert, a fire party, singing and dancing, watching the beautiful star galaxy. Really is a beautiful memory. The desert, smoke, river, sunset, everything is so beautiful. The owners are extremely friendly and helpful !! Bed n sheets are tidy n clean, smells like sunlight. Toilets are in western style, very clean as well. They offer overnight trip to the desert. Tants n sheets are provided. We sing songs, drink beer n BBQ in the middle of the desert!!! Really really recommend this inn for everybody! We enjoy it so much!!! The staff would have to be the welcoming, hospitable people to ever run a hotel. Everyday there was new offerings of fruit or drinks brought to our door and brave attempts to communicate. One staff member spoke very good English. The place is situated really close to the desert, which is perfect if you want to enjoy the nature and avoid the noise. The room was nice and clean. More important for me, Mr. Ge family gave me a very warm welcome and treated me like I was one of the family. I felt at home. This is a family run guesthouse with simple accommodation in a great location! You can walk to the sand dune park in about 10 minutes. Brother Ge was out of town during our stay but we were well taken care of by his wife and 2 young men who were helping out. We shared some fruit together, and I cooked some eggs in the shared kitchen (although I don't think they are used to guests actually cooking there). At night you can take a short walk down the road and star gaze. Hot water, clean beds, a coat rack is provided in the room and there are convenient hooks in the bathroom. Overall a pleasant stay. This place is amazing, clean rooms, good WiFi and nice location. Owner and his wife are wonderful people. I enjoyed every moment talking with them, practicing my crappy Mandarin. They were extremely helpful, even when I was not participating in their activities and trips. They treated me and all their guest like their family. Also, camping in the desert is A MUST. Unbelievable experience. I really hope I'll come back again to Dunhuang Brother Ge Inn one day. In fact, I miss it already :(. Huge recommendation! 가족같은 분위기에 맞아주셔서 너무 좋았습니다. 둔황 명사산입구에서 전화드렸더니 픽업나와주셨어요 위치도 사막 바로 옆이고, 명사산 가시는분들에게는 강력 추천합니다! Man fuehlt sich hier sofort wie zu hause! Brother gee und seine frau und das restliche personal sind unglaublich nett und helfen wo es geht!! Das zimmer sehr sauber,man bekommt staendig frisches obst und es wird alles getan,damit man sich wohl fuehlt!eine uebernachtung in der wueste ist ein muss! Wir wuerden sofort wieder hier schlafen! Dunhuang Warm Home Inn offers accommodation in Dunhuang. 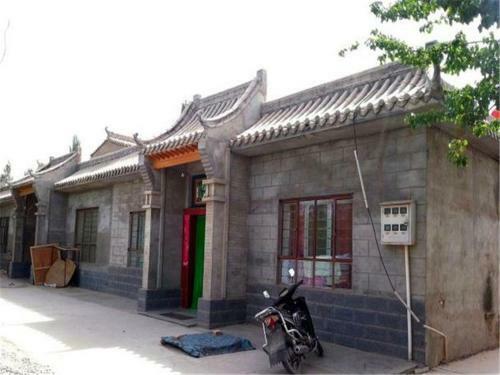 The property is located a 20-minute walk from Dunhuang Museum. Free WiFi is available in all areas. The property is a 15-minute drive from Echo Sand Mountain and Crescent Moon Pool Scenic... Average score from 12 guest reviews: 8.6/10. Clean dormitory and bathroom, but the highlight was the amazing hosts who did everything she could to make my stay comfortable in winter, and went out of their way to help with things I wanted to do. Very kind, very welcoming. 10/10 would recommend. Very very nice owner!tries to make everything to help you to organise your journey( no commission), just very nice. Free meals sometimes, thank you for this again. The location is not good on gps (description and photo are good), use the phone or find a friendly local, no sign. Warm welcoming family run hostel. 5min walk from downtown, 1.5km from bus terminal. Also 600m from the bus stop to/from Railway station and Mogao Cave. Owner family only speak Chinese. But they always tried to understand and help me, by smartphones translation or handwriting (because I'm Japanese). We had an incredible stay with this very nice family! They went out of their way to make us comfortable, giving us a double room when we booked dorms, feeding us with bread and delicious apricots and even giving us a ride to the bus station when we left! Everyone was very kind and helpful. They gave me free water melon everyday, sometimes free meal. Super 8 Dunhuang Fengqingcheng is located in Dunhuang, a short 10-minute drive from the Crescent Moon Spring. Free WiFi access is available. Each room here will provide you with a cable TV, air conditioning and a seating area. Average score from 70 guest reviews: 8.5/10. Friendly staff, clean western bathroom and great wifi! Cleanliness friendly and helpful staff Location in the center of Dunhuang. Competitive room rate. strong and free WiFi Facilities, considering it's only a budget hotel. Very welcoming staff! Very comfortable room that was super clean and had fast Wifi. The hotel staff helped me to reserve a ticket for the caves and book transportation to Jiayuguan. Recommended! An excellent place to stay in Dunhuang with clean rooms and friendly, helpful staff. Nearby a shopping area and night market, plenty of food options nearby. Staff very helpful. With limited English they use their phone translator. One staff member walked with me 1.5 km to bus station to buy bus tickets to Liuyuan for me. Also got tickets to Mogao Grottoes for us. Great location. Clean. All you need for short stay and at a very good price. very friendly staff. close to market and bus stop, perfect! It was AMAZING, I can't highlight any inconvenient during my stay. The girls at the front desk are FANTASTIC, even though they don't speak English, they use their phones to translate messages and help you with anything. The location is very convenient for those planing to go to the Crescent Lake and the caves, both are reachable by bus (3¥ per way). I have spent my Chinese new year at the hotel and at that night, I celebrated the holiday with some friends and headed back to the hotel and found a lovely and unforgettable courtesy from the hotel, a note saying Happy New Year and some other wishes along with their local food. I really appreciated their efforts trying to help me even with their few/no English knowledge and their acknowledgement and interest on doing my Chinese new year's eve more special. The ladies that run this place are really helpful, but don't expect them to know any English. Suggest pre-booking & planning your event option well with some Chinese documentation or have a mandarin speaker you can call to broker the required conversation outcome. We were escorted to purchase Grotto Tickets (very close) & directed to the night market just down the street. The room: Clean & not smelly, great WiFi performance, fresh but Chinese hard beds, excellent bathroom (be careful not to slip in the shower - the sign is there for a reason). We'd return to this place for sure! Excellent location near market, bus station and night market; very, very frendly staf; and good breakfast for reasonable price. 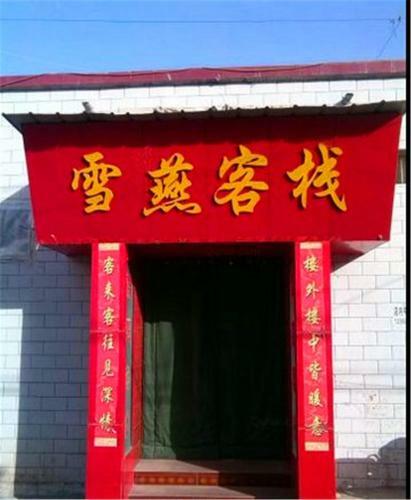 Standing besides Shazhou Night Market, Happy Station Hostel Dunhuang offers affordable accommodation in Dunhuang. Free Wi-Fi is accessible in all rooms. Hostel Happy Station Dunhuang is only 1.4 km from Dunhuang Museum. Average score from 15 guest reviews: 8.2/10. Really nice place, close to the famous night market. Clean and comfortable, staff can not speak English, but they try their best and use baidu translate. They will help you book a ticket advanced to the tourist spots if you want. The personnel is really nice ! Will help you With erything ! very very great location; very near ShaZhou night market. very great price too. Staff; owner's son, was helpful even they can speak a little bit English but that's not the problem because of translation app. (his mother and father were also full of service mind) He recommended the famous donkey noodle restaurant which is really good. Close to the night market, and seemingly a good price for foreigners. I upgraded to a single room for a little more privacy and the western toilet. Le personnel qui, en dépit de ne pas être anglophone, s'est révélé particulièrement aidant et agréable (merci les logiciels de traduction). Des excursions peuvent également être organisées d'ici. Position très centrale permettant de faire beaucoup de choses à pied. Located just 1-minute walk from Dunhuang Minsu Museum, Dunhuang Han and Tang Dynasties Station Hostel offers simple accommodation. It features free WiFi and free parking space. The famous Yueya Quan can be reached within 2 minutes on foot. Average score from 24 guest reviews: 8.2/10. This is one of the best place I lived in. Clean, nice work, good location. 10 point out of 10! wir haben jeden Morgen eine leckere Nudelsuppe serviert bekommen. Der Gastgeber hat uns gern zum Bahnhof und zu den Mogao-Grotten gefahren. Sehr gastfreundliche Atmosphäre. 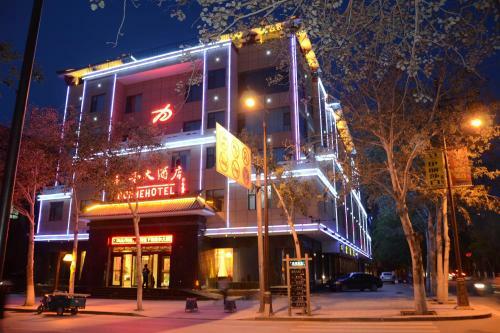 Offering a travel agency with ticketing and car rental services, Dun He Hotel is located in the centre of Dunhuang City, a 5-minute stroll from Shazhou Night Market. Free Wi-Fi access is available. Average score from 36 guest reviews: 7.9/10. This is the most friendly and helpful staff we ever met. They are very helpful in answering all our questions about our itinerary. The room is clean and spacios. The location is good,nearby has some local restaurants. The night market within walking distance. They served us yogurt drink as well. We were taking morning train to Jiayuguan and the staff helped us to get the taxi while we were checking out. Well done! The rooms were comfortable and clean. The location was good - close to the desert, and other tourist places. A warm welcome from the staff everytime they saw us. Very helpfull and tried everything in English with the few words they spoke. Struttura completamente senza acqua nel periodo in cui sono andata. Abbiamo cambiato hotel. La reception ci aveva detto che in tutta Dunhuang non vi era acqua, non era vero, nell'altra struttura acqua a volontà. 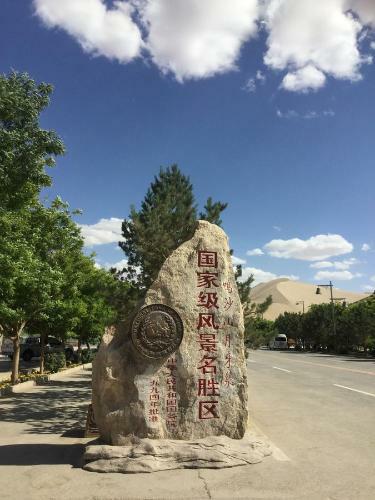 Located 800 metres from the downtown area of Dunhuang, the non-smoking Dunhuang International Youth Hostel provides air conditioning and compact accommodation with free Wi-Fi. Dunhuang International Youth Hostel is 4.5 km from Leiyin Temple, 5. Average score from 91 guest reviews: 7.4/10. Location, space, staff friendly, nice youth hostel feeling. Very good location and easy to find. Air conditioned clean rooms. Clean toilet and showers. Nice air conditioned common area. Mostly clean. Staff friendly but barely speaks english. Spacious common area. Comfy beds. Very convenient location and is very clean and comfortable. They give you lots of help and information for seeing the sites too. Although the decoration of the room is quite simple and the private showroom is really small, the price is worthy it. Location was good, quick walk to the markets and the food places and the buses to go to the sights.. Nice blossom trees outside the hostel. The staff is always attentive; replying to all kinds of questions and seriously trying to help. The bus trip for 85 RMB was one of the best experiences in my Silk road trip. The location is OK too. Great location, rather friendly staff, as well as a large locker (with lock & key provided) to store your valuables. It is also probably the only hostel in town to accept foreign guests. Featuring free WiFi throughout the property, Dunhuang Fengqingcheng Hotel offers accommodation in Dunhuang. Free private parking is available on site. Dunhuang Meteorological Bureau is 1. Average score from 25 guest reviews: 7.4/10. 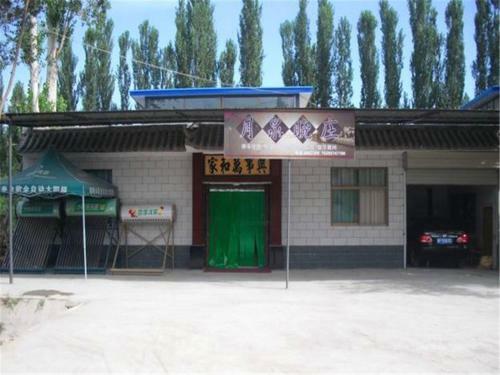 Dunhuang 8090 Guest House offers simple and affordable accommodation in Dunhuang. It features a 24-hour front desk. Free WiFi access is available. Both private rooms and beds in dormitories are provided at the property. Average score from 27 guest reviews: 7.2/10. I loved the location! If you don't mind the occasional whiff of camel manure, you'll enjoy your stay here. Come here as if it was a campsite - bring toilet paper, instant coffee and towels as the hotel has none of these. The location makes up for all, though! It's right by the sand dunes and camel stables, far away from any shops or noise or distraction. Truly relaxing and it gives a genuine rural experience. 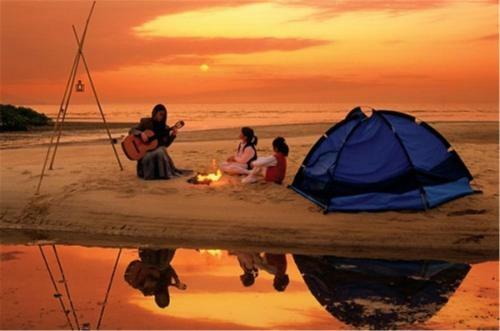 The place is very good situated for dune experience. If you go back in direction to the village on the left side you can finde a new area with a lot of restaurants. the rooms are big and clean. Good staff, good location.Excessive Chinese usage required. The location was great because it was about an 8 minute walk way from the entrance of the desert. When we couldn't find the place, we called and they set a staff member to come find us and take us there. 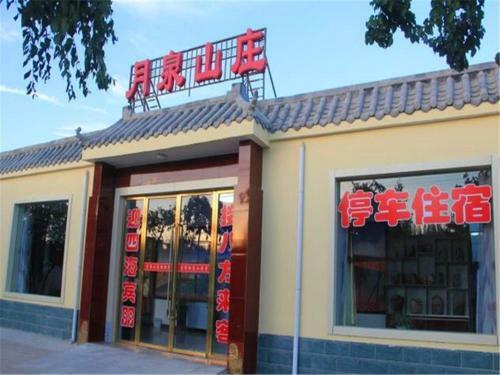 Xin Long Hotel is located in Dunhuang, only a 5-minute stroll from Dunhuang Coach Terminal. It is a 10-minute drive from Mogao Caves and Crescent Lake. Free WiFi access is available. Average score from 71 guest reviews: 7.2/10. Great location, right next to the bus station going to the train station and Mogao caves, and around 10mins walk away another bus stop going to the Crescent Lake. 5mins away from the city centre and with a strett full of restaurant basically around the corner. When taking the bus (3CNY) from the trainstation, the terminal station is right in front of the hotel, which is great. From that same stop you can get the bus to the Magao Caves. 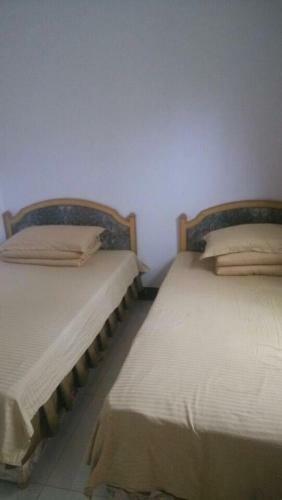 Okay hostel, comfortable beds, good price, close to Dunhuang centre and Dunhuang Night Market. Staff is helpfull, but only 1 person speaks English (which is more than in most hotels in China). 5 km from Crescent Moon Lake. Close proximity to the bus station to go to Liuyuan. Also, the night market is just a few steps away and it was our favourite place! Location is very good. Because it's most near hotel from bus stop. Clean, friendly and convenient. And it is. Central to everything. Friendly staff and clean. Great location! Step off the bus from the airport and you're there! Very clean, comfortable room. Perfect location, close to bus station, in center. Comfy beds, clean room, helpfull staff Check in early morning after night train was no problem. 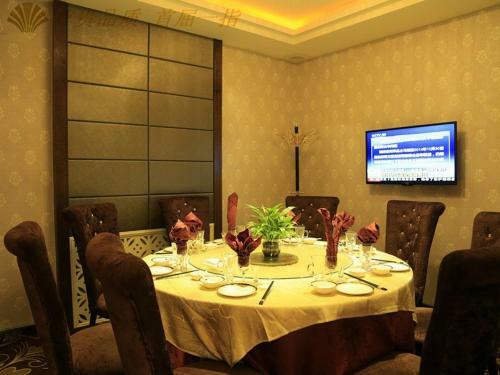 Located in the city centre of Dunhuang, Xueyan Inn offers simply decorated rooms with free WiFi. It is 700 metres from the city government office. Xueyan Inn is within a 15-minute walk of Dunhuang Park. Average score from 6 guest reviews: 5.1/10. 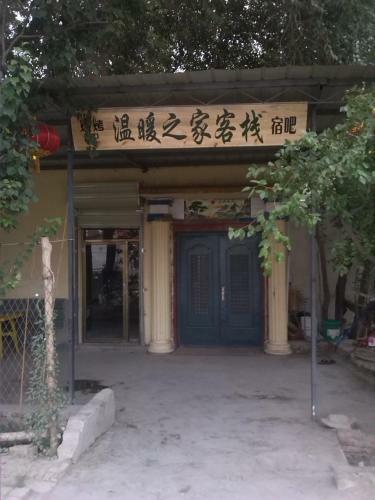 Yuequan Xiaozhu Youth Hostel offers accommodation in Dunhuang. The property is located a 10-minute walk from Echo Sand Mountain and Crescent Moon Pool Scenic Area. Free WiFi is available in all areas. Average score from 15 guest reviews: 0.0/10. Dunhuang 38.6° Youth Hostel offers accommodation in Dunhuang. The property is located a 10-minute walk from Echo Sand Mountain and Crescent Moon Pool Scenic Area. Free WiFi is available in public areas. Average score from 11 guest reviews: 0.0/10. Just a stone's throw away from Crescent Lake Scenic Area, Tianjingsha Youth Hostel offers pet-friendly accommodation in Dunhuang. The hotel is 5 km away from Dunhuang Bus Terminal, and 13 km away from Dunhuang Railway Station. Average score from 4 guest reviews: 0.0/10. Featuring free WiFi in all areas, Dunhuang Silk Yododo Inn offers accommodation. Free parking is available. Leiyin Temple is 1.5 km from Dunhuang Silk Yododo Inn. 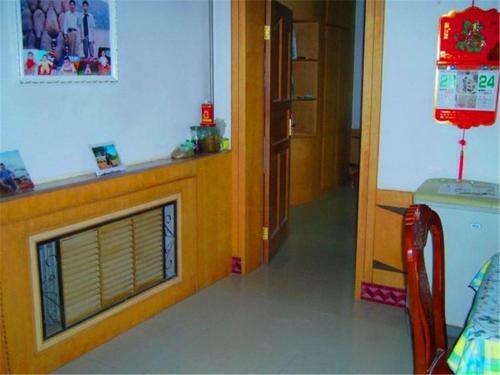 Dunhuang Longquan Villa is 1.6 km from the property. Average score from 28 guest reviews: 9.3/10. Great location. European restaurants, market, all the things you need. Very good design and perfect bed. The inn itself is in a sight seeing location which you are like living in a village thousand years ago. Besides, Mingsha hill and crescent moon spring is in walking distance. Also the inn is in good value in terms of cleanliness and comfort. No regret choice! The location is great, right next to the sand dunes and in a new development called Sleepless Town which had many bars and restaurants and a really pleasant atmosphere. It's also on the no 3 bus route, making town accessible too. The decor in the rooms and around the hotel is very tasteful and comfortable. The included Chinese breakfast was ample and had a nice selection of foods. Most of the staff were very friendly and went out of their way to help us. The hotel itself is beautiful, and the location is perfect ! Rooms are really nice and clean, beds are ok, shower is great. Right next to the sand dunes and inside of a tiny touristy village with a lot of charms and plenty to do during high season. Très bien situé près de la dune et dans un quartier touristique plein de restaurants. A 10 minutes du centre-ville de Dunhuang en taxi. 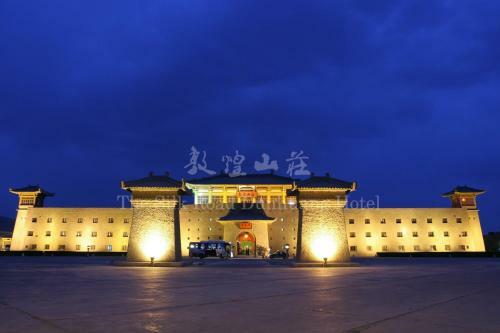 Offering a restaurant, Tian Run International Hotel Dunhuang is located in Dunhuang. Free WiFi access is available. Tian Run International Hotel Dunhuang is housed a 10-minute drive to Crescent Lake. Bus Line 3 is also in the near surroundings. Average score from 67 guest reviews: 8.3/10. This hotel has very friendly and the staff helpful. The location is central and within easy walking distance of night market which has great food. I travelled by myself and the staff could not have been more helpful reasonable english spoken. Great value for money and spotlessly clean. This hotel is a good choice as it is easy to travel to any of the surrounding sights from here. The staff were very nice, they have responded to my email several times to ensure free airport pickup of us 6 people and 6 lugguages. The hotel location is also good, very close to airport, Mao-gao Caves and Min-sha Mountain. 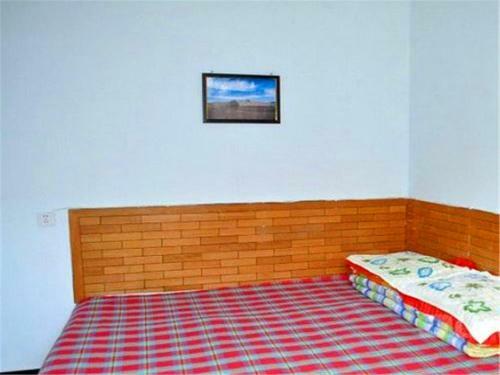 The location is very good in the city and the room and bed are comfortable with nice bathroom. Western standard comfort and service.The staff are courteous and helpful. The hotel is in the prime location in town, very convenient. Excellent housekeeping; Friendly staff; Fine bathroom facility; Convenient location. Comfortable room with excellent bath room and good view. I was offered another room with a better view. Nice lobby, good breakfast. Everything was perfect EXCEPT THE BED!! Bath was very clean and the room was very luxurious. The room was cleaned and large. Beds was comfortable though a mattress is pretty hard. 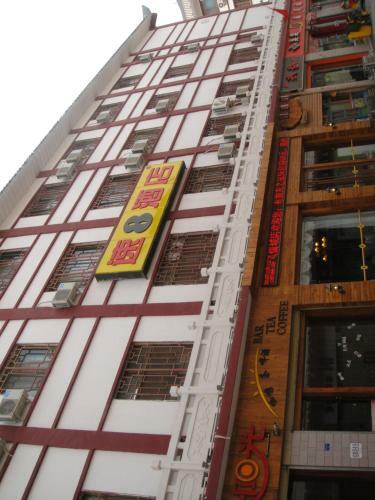 Good location : near to Dunhuang snack street and good restaurants. Official train ticket office is just a few meters away. Taxi to Mingsha Shan or Mogao cave costs around 15-30 CNY. 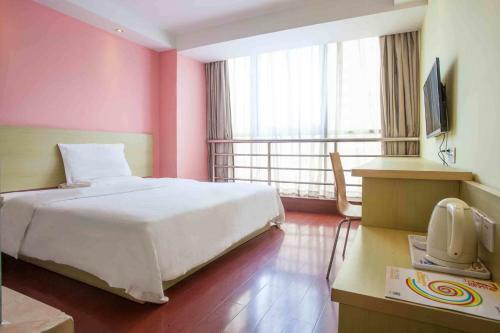 Xing Xin Hotel features spacious guest rooms with flat-screen TV TV. Free WiFi access is available in all areas. 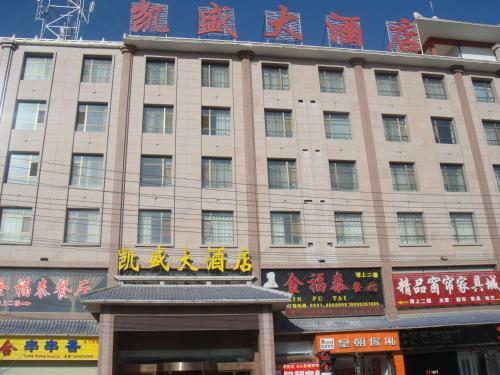 Xing Xin Hotel is 13 km from Dunhuang Airport and Dunhuang Railway Station. Mogao Caves is 25 km away. Average score from 11 guest reviews: 8.2/10. 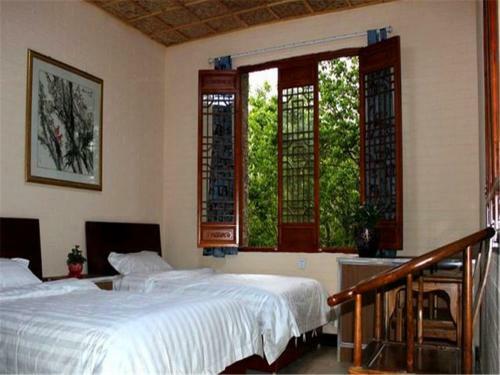 Located in Yueyaquan Village, Dunyue Farmhouse provides cosy and simple accommodation in a local bricked house. Both free WiFi and free parking are accessible here. The famous Crescent Lake Scenic Area is just 5 minutes' walk away. Average score from 14 guest reviews: 6.1/10. GreenTree Inn GanSu Jiuquan Dunhuang Shazhou North Road Business Hotel is located in Dunhuang, 700 metres from Dunhuang Meteorological Bureau. Each room is fitted with a TV. You will find a kettle in the room. Every room has a private bathroom. Average score from 14 guest reviews: 0.0/10. Carnival Boutique Hotel is situated in Dunhuang, 1.1 km from Baima Tower and 1.2 km from Silu Mores Garden. Every room is fitted with a flat-screen TV with satellite channels. You will find a coffee machine in the room. Rooms have a private... Average score from 3 guest reviews: 0.0/10. Just a 20-minute bus ride from Crescent Lake, Kaisheng Hotel Dunhuang offers accommodation with free WiFi. It offers shuttle services, karaoke rooms and a tour desk. Average score from 7 guest reviews: 0.0/10. Located in Dunhuang, 800 metres from Dunhuang Longquan Villa, Yue Quan Xiao Zhuang Inn features air-conditioned rooms with free WiFi throughout the property. You will find a kettle in the room. Each room has a private bathroom. Average score from 15 guest reviews: 0.0/10. Located in Yueyaquan Village, Yuequan Inn offers simple accommodation and free WiFi in all areas. Guests can walk to Crescent Lake Scenic Area in just 15 minutes. Each unit includes a fan. Average score from 15 guest reviews: 0.0/10. Jiuquan Dunhuang Mengtu Youth Inn offers accommodation in Dunhuang. The property is located a 10-minute walk from Echo Sand Mountain and Crescent Moon Pool Scenic Area. Free WiFi is available in all areas. Average score from 7 guest reviews: 0.0/10. 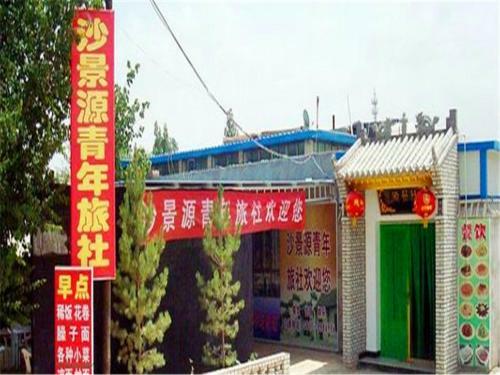 Featuring free WiFi, Wangshi Ruyan Coffee offers accommodation in Yueyaquan Village, Dunhuang. Free parking spaces are available around the site. Wangshi Ruyan Coffee is within a 10-minute walk of Mingsha Mountain and Crescent Lake Scenic Spot. Average score from 8 guest reviews: 0.0/10. 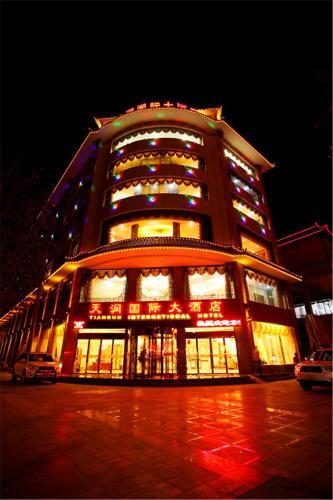 Located in Lanzhou Village, Lanting Inn offers simple accommodation. Both free WiFi access and free parking service are available here. 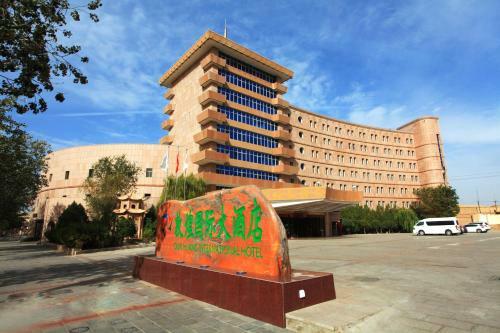 The hotel is 1 km away from Dunhuang Bus Terminal and 2 km away from Crescent Lake Scenic Area. Average score from 11 guest reviews: 0.0/10. 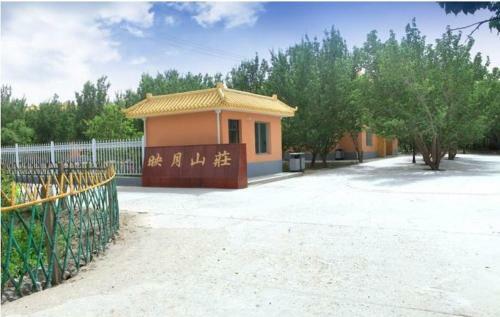 Dunhuang Shaquan Farmstay offers accommodation in Dunhuang. The property is located a 15-minute walk from Echo Sand Mountain and Crescent Moon Pool Scenic Area. Free WiFi is available in all areas. Average score from 14 guest reviews: 0.0/10. Featuring free WiFi throughout the property, Dunhuang Family Youth Hostel offers accommodation in Dunhuang, 1 km from Crescent Moon Spring. Free parking is also offered. Dunhuang Minsu Museum is 850 metres from the property. Average score from 5 guest reviews: 0.0/10. 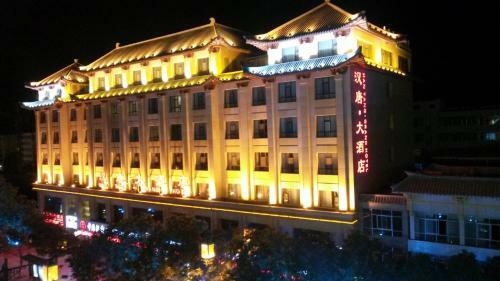 Xingfu Inn offers neatly arranged guestrooms and free WiFi in all areas. You can stroll to Crescent Lake in just 10 minutes. Each unit is spacious, airy, and comes with a cable TV. The private bathroom comes with a walk-in shower. Average score from 13 guest reviews: 0.0/10. Featuring a private garden and a sun terrace, Dunhuang Xi Jia Inn offers rooms with colorful decorations. Garden or mountain views can be enjoyed in rooms. Free Wi-Fi is accessible in all areas. Average score from 7 guest reviews: 0.0/10. The Silk Road Dunhuang Hotel is located in Dunhuang, only 1 km away from Minsha Hills and Crescent Lake. The property offers free parking and free WiFi access. It takes about 20 minutes by car to Dunhuang Airport or Railway Station. Average score from 168 guest reviews: 8.9/10. The staff was wonderful. The breakfast buffet was delicious. The rooms were lovely and the beds were very comfortable. View from the 4th floor roof patio is spectacular during sunrise and sunsets. Location next to Crescent Lake and sand dunes.Staff very helpful and food is very good. Very impressive experience in this well-located hotel. Staff are excellent, all very helpful. Foods in the various restaurants inside the hotels were also very nice. Special thanks to the hotel driver Mr Lee who took care of us in the two days tour in Dunhuang so well, and being so professional. Beautiful hotel with lovely rooms. Good hearing in rooms too, important because there was snow on the dunes when we woke up! Decent breakfast, but excellent view. Asst manager made lots of calls for us because we had failed to book tickets for the mogao caves in advance (we didn't know we had to!) and he got us into the caves, and we were met by a helper and got an English speaking tour put on especially for us! Top marks to the hotel and the caves (which were fabulous) Our daughter also loved the free mini camels in our room-the icing on the cake for us. Clean, cozy rooms. Great massage team. Kind service. Near Singing mountain and crescent moon lake. Hotel allows you to rent a bike and cycle there. Beautiful scenery at the rooftop cafe, where you have breakfast. Professional staff who smiles. Free dates and camel plush toys too! Great view of Mingsha Mountain. You can walk to the site for like 10 to 12 minutes. First, they arranged transport to and from the airport for us free of charge. Second, the time to leave for the airport was 2 pm and the front staff immediately provided us with a late checkout time of 2pm without our even asking for it. That was just great service that I have seldom encountered anywhere and certainly not in China hotels! 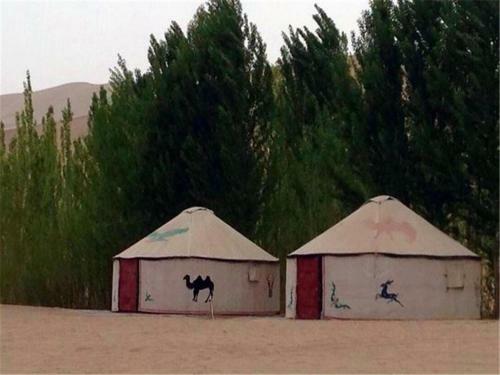 Set at the foot of Mingsha Mountain, Nadada International Desert Camping offers a unique living experience in the tents. For your convenience, the setting offers free parking service. Average score from 11 guest reviews: 8.8/10. Located in Dunhuang, 1.1 km from Silu Mores Garden, Gujun Hotel features air-conditioned rooms and free private parking. The rooms come with a flat-screen TV. Every room is fitted with a private bathroom fitted with a shower. Average score from 16 guest reviews: 8.3/10. Accepting only Mainland Chinese citizens, Dunhuang Yingyue Villa offers accommodation just a 10-minute walk from Crescent Moon Pool Scenic Area. It feature free WiFi in all areas. 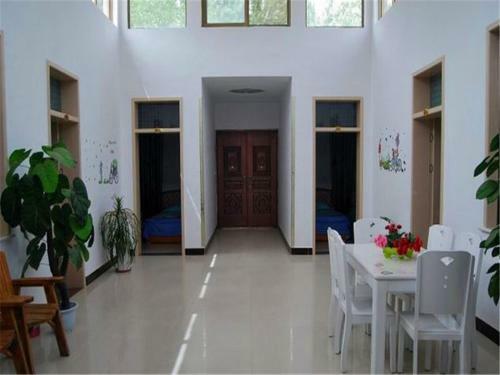 The homestay is a 15-minute drive from Dunhuang Coach Station. Average score from 3 guest reviews: 8.2/10. Situated 900 metres from Silu Mores Garden in Dunhuang, Dunhuang Jin Ye Hotel welcomes guests with a restaurant and a bar. Free WiFi and free airport shuttle service are available. Average score from 12 guest reviews: 0.0/10. 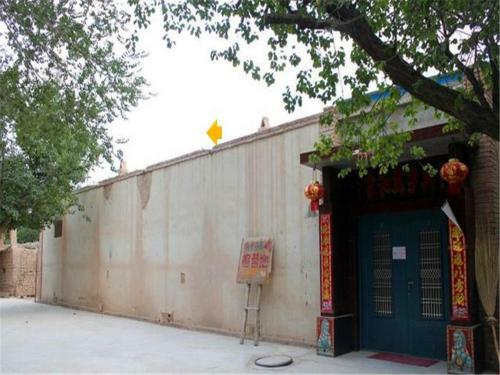 Featuring free WiFi throughout the property, Dunhuang Silk Road House Youth Hostel offers accommodation in Dunhuang, 800 metres from Dunhuang Foye Miaowan Tomb. Leiyin Temple is a 7-minute drive from the hostel. Average score from 13 guest reviews: 0.0/10. 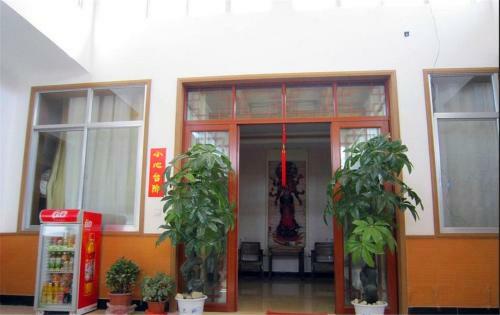 Yihai Youth Hostel Dunhuang offers pet-friendly accommodation in Dunhuang. Providing private parking, this hostel also features free WiFi. Silu Mores Garden is 100 metres from Yihai Youth Hostel Dunhuang, while Baima Tower is 1. Average score from 12 guest reviews: 0.0/10. Right positioned along Crescent Lake, Desert Camping offers unique camping experience in the desert. Here, parking space is provided and charges apply. Each tent features simple decor and shares the bathroom. Average score from 10 guest reviews: 0.0/10. 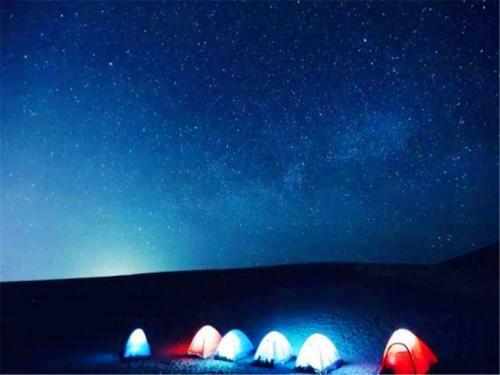 Jiuquan Mingsha Mountain Desert Camp Accommodation offers camping tents for guests in near Mingsha Mountain. It is within a few minutes' walk of Yueyaquan Lake. Average score from 13 guest reviews: 0.0/10. 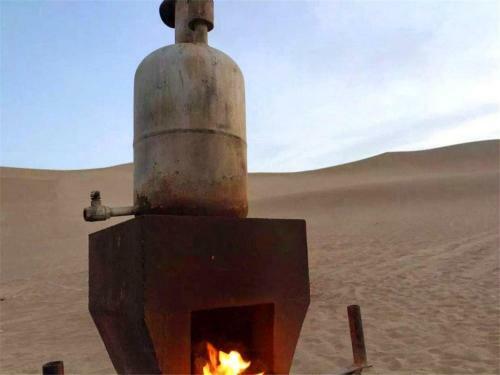 Featuring a free parking lot, Desert Camping Dunhuang offers special accommodation experience near Mingsha Mountain and Yueyaquan Lake. Guests can spend the night in the tent on the desert. Free parking spaces are available at the site. Average score from 4 guest reviews: 0.0/10. 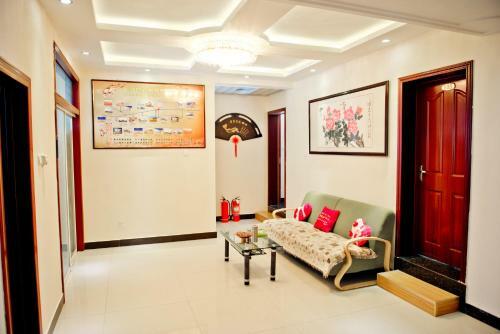 Huanhuan Family Apartment offers homelike accommodation. Free WiFi is provided. Dunhuang Railway Station lays 25 minutes' drive away. It takes 20 minutes by car to Dunhuang Airport. Average score from 5 guest reviews: 0.0/10. Apricot Garden Guesthouse offers accommodation in Dunhuang. The property is located a 10-minute walk from Echo Sand Mountain and Crescent Moon Pool Scenic Area. Free WiFi is available in all areas. Average score from 3 guest reviews: 0.0/10. 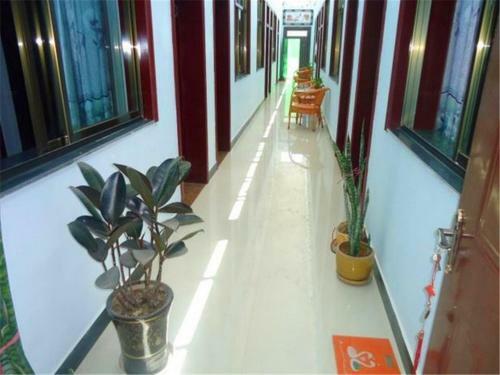 Located adjacent to Crescent Lake Scenic Area, Shajingyuan Youth Hostel offers neatly arranged guestrooms and accepts only Mainland Chinese citizens. Free WiFi is covered in all areas. Average score from 5 guest reviews: 0.0/10. 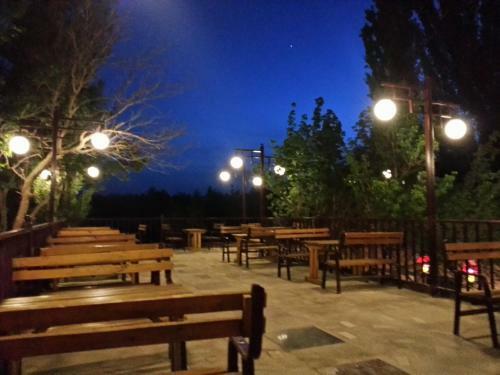 Nestling in Yueyaquan Village, Bainian Caojia Inn offers comfy accommodation and free WiFi in all areas. You can easily stroll to Crescent Lake Scenic Area in just 2 minutes. Average score from 5 guest reviews: 0.0/10. With the bus stop on the doorstep, Mingyueju Youth Hostel offers simple accommodation in Yueyaquan Village. Both Leiyin Temple and Crescent Lake Scenic Area can be reached in 5 minutes' walk. Average score from 5 guest reviews: 0.0/10. Many of the caves are filled with exquisite Buddhist art and manuscripts dating to the Sui, Tang and Song dynasties. These works provide an abundance of vivid materials depicting various aspects of medieval politics, economics, culture, arts, religion, ethnic relations, and daily dress in western China. The unique artistic style of Dunhuang art is not only the amalgamation of Han Chinese artistic tradition and styles assimilated from ancient Indian and Gandharan customs, but also an integration of the arts of the Turks, ancient Tibetans and other Chinese ethnic minorities. The Mogao Caves form a system of 492 temples built into dugout caves. Although the city had an early connection with Buddhism due to the passage of monks traveling the Silk Road, it was not until a monk had a vision of a thousand Buddhas above the desert at Dunhuang in 4th century that the famous caves were excavated and filled with the manuscripts and treasures. At present, roughly a dozen caves are open for tours. Specific itineraries vary from agency to agency. It is handy to bring your own flashlight. Carved into the cliffs above the Dachuan River, the Mogao Caves south-east of the Dunhuang oasis, Gansu Province, comprise the largest, most richly endowed, and longest used treasure house of Buddhist art in the world. 492 caves are presently preserved, housing about 45,000 square meters of murals and more than 2,000 painted sculptures.